Earlier this week we reported on Verizon's new $70 Fios Gigabit Connection plan that doesn't actually offer gigabit speeds. Now it turns out that the plan isn't really $70 either like Verizon's press release stated. The deal seemed a bit too good to be true so Ars Technica did some digging and discovered a mess of internal pricing structures, temporary discounts, and upgrade confusion. 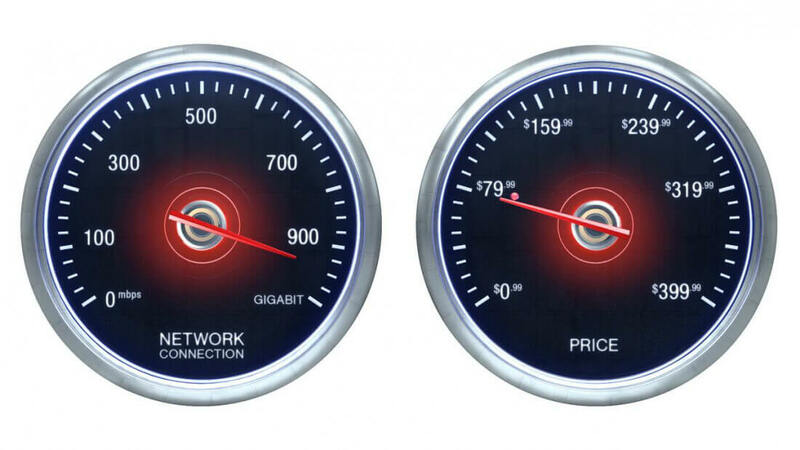 The $70 price tag is actually only for new customers that don't already have Fios service. Existing customers will be charged the standard price of up to $200. Those new customers will also also have to pay router charges and some additional fees, so it looks like no one will actually get the "revolutionary price" of $70. Further complicating things, Verizon's website isn't currently set up to upgrade existing customers despite Verizon advertising an immediate upgrade. That will be delayed until April 30th. An Ars Technica reader spoke with a Verizon customer service rep while attempting to upgrade his service and discovered that the $70 price wasn't even available in the system. After further discussion with Verizon, it turns out that there is no exact price for this plan. The specific price a customer pays to upgrade "depends on what their current pricing is." For those new customers looking to get this new service, be sure to read the fine print very carefully. The service actually costs $195 / month for new customers but is then reduced with a temporary $115 "special bonus discount" and $10 online discount to $70 that may be valid for either one or two years. So the TL;DR of this is Verizon's $70 Gigabit plan is not $70 and not gigabit.